Successfully Added Razor Thin 4GB MP4 Player - 1.8 Inch Screen + Mini SD Reader to your Shopping Cart. Razor thin MP4 player with 4GB of internal flash memory and a mini SD card reader for expanding the memory up to 2 more GBs. A slick looking MP4 player sure to draw envious glances from everyone who get a look, with some serious power behind it. 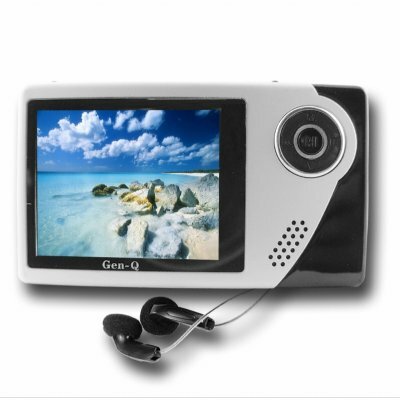 Some of the features include AMV movie playing with conversion tools for almost any other format, a built in loud speaker, great resolution and fps, and multi-language GUI. An inexpensive buy with great value, direct from China..